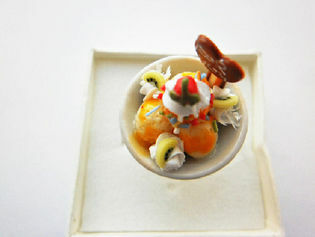 Miniature food adorable dessert bowl ring. Ice-cream made from non-toxic dried clay. Bowl made from ceramic clay. Ring is silver plated and fully adjustable to fit any size finger.